Back in the 90s, we wrote a lot about an American band called Mastermind, which started as a trio of brothers Bill and Rich Barends with Phil Antolino, and later expanded to a five-piece. The group's first six studio albums, along with three live sets, are now available on their Bandcamp site. 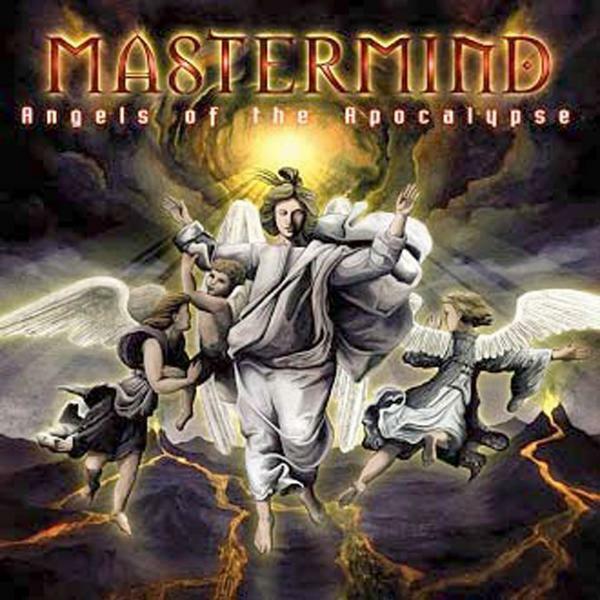 Starting with Volume One in 1987, through 1999's Angels of the Apocalypse, Mastermind exemplified an American take on big-sound progressive rock, balancing impressive chops with melodicism. The original CDs, and in some cases later reissues, are mostly out of print and hard to come by legitimately, so the band has taken advantage of today's digital economy to bring these albums back to light. In Exposé #6, we published a feature article about the band, with an in-depth interview of the Berends brothers. Back in Exposé #7, we made Tragic Symphony, the band's third effort, a roundtable review with three different writers offering their views on the music. In #11 their fourth album, Until Eternity, got the roundtable treatment. That's plenty of information to use to make your purchase decision, and you can stream tracks for sampling before you buy. This Dog May Be Ceramic, but It Bites!